The 308 Winchester has always been my most prized possession. Though with modern innovations, new cartridges and rifles are all over the place, but none still comes close to the 308. The efficiency of 308 rifle is not to be compared as its sufficient ballistic power can consistently reach an effective distance of 800 yards (this is the maximum effect though it can reach well up to 2000 yards, you will see in the video below), hitting its target, without any serious form of recoil. The 308 has the best and moderate recoil in the rifle game. 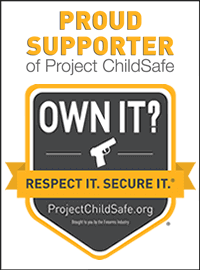 It makes control very easy for persons of smaller stature, new shooters and then, women as well. So yes, I am always proud to tell my colleagues that if there was just a rifle and a cartridge I would rather have, it would always be the 308. Just in case it hasn’t hit you yet, the 308 Winchester can be practically used for anything; hunting, tactical training, long range shooting/sniper range, home security and defense etc. This along with the best scope for 308 makes it my go – to option, its versatility, practicability and ability to perform basically any form of shooting makes it the number one choice. The 308 Winchester rifle has a history even in the American society. Cast your mind back to the days Clint Eastwood’s movies, the days of American short action movies, this rifle was used to enhance these trends. Even the American armed forces have a long history with the 308. Also Read : Best Scopes for 308 ! The question then remains, how well do you want to master the art of shooting? Are you tired of trying and constantly making errors? Then its time you learnt more about the 308 Winchester rifle. Get yourself a good 308 load. However, you must take into cognizance the suitable ranges and bullet drops. The 308 has a lot of energy, after shooting, the distance and speed to be covered does not drop significantly as compared to others. Isn’t this great? The 308 Winchester is an outstanding and excellent round for medium to long range shooting. Coupled with the fact that the US army advocates for a 800 meters maximum effective range and the United States Marine Corps (USMC) holds that the 308 has a 915 meter effective range. And by the way do you remember Staff Sgt Jim Gilliland who hit the target at 1,250 metres? This simply means that when you put your bullet and pull the trigger when you are supposed to, the 308 will definitely hit its target. This goes to show why the 308 is the hunter’s choice. Check out this amazing video! I was privileged to see 308 hitting its target at 2000 yards. There’s no way I can be much happier to see people raising the limits. In my years of handling the rifles, I have come across a lot of cartridges. Some come with the hype and live up to it others, not so well. Let’s compare the .308 Winchester with .223 Remington and .30-06 Springfield. I am a bit biased towards .308 but the data will clearly show the advantages of .308 Winchester over .30-06 and .223. The .223 Remington and the .30-06 in comparison with the .308, seems to be one of the hottest arguments in the ammo world right now. The fact however still remains that each has its strength and weaknesses, but nonetheless, which is better among them? The Winchester .308 holds a very clear and outright advantage over the .223 Remington when it comes to hunting and competitive shooting. With the .308 Winchester, you can effectively hunt medium sized and large sized games; like the deer, caribou, elk, and elephants and so on. Check out how he shot down a bear. Bearing this in mind; the .223 does not even come close to this rifles prowess. For certain reasons, in so many states, the .223 Remington is not even legal for deer hunting. Though the .223 Remington will be well suited for pest control and small animals, it cannot be used for hunting the big games. The .308 has a heavy and larger bullet diameter i.e .473” as compared to the .223 Remington which has a flat trajectory and lightly constructed bullet with a case of .378”. This affects the shooting power of both rifles. 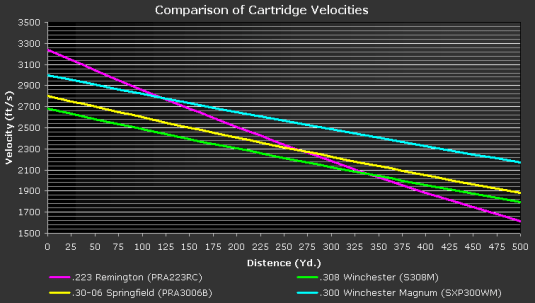 In comparison, the .308 Winchester has a higher stopping power than the .223 Rem. making the 308 a preferable rifle when it comes to self and home defense. Also Read : How Do Rifle Scopes Work? The Science Behind Your Optics. The .30-06 Springfield is another rifle ammo which comes to mind when hunting. 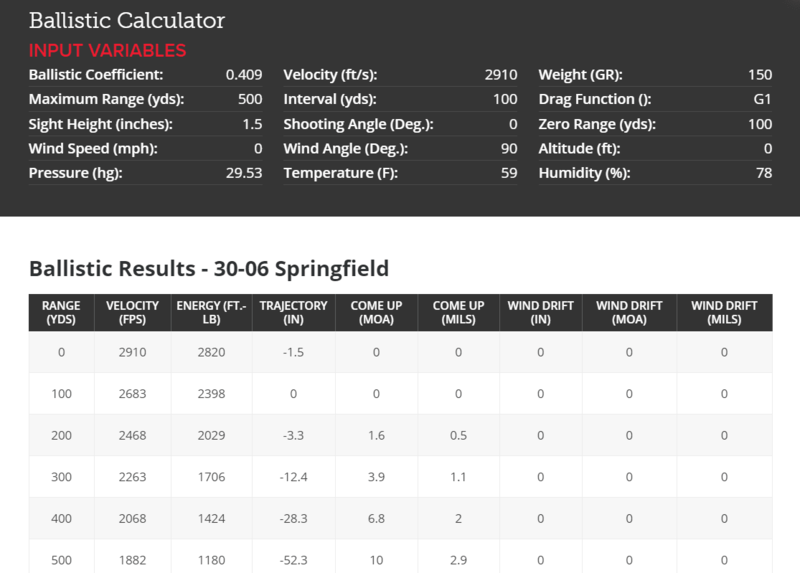 Although when we look at the data for 30-06, we can agree that it has great ballistics, but still the 308 is more efficient. Why? 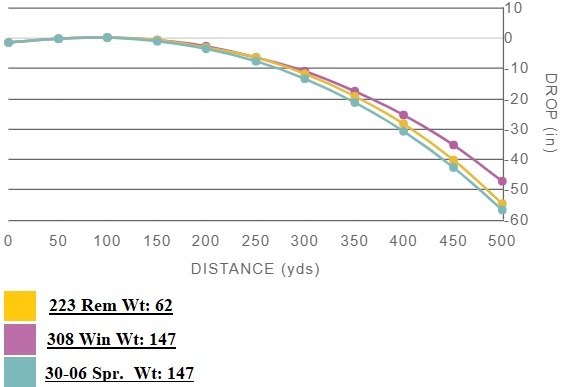 Because when using 150-165 grain projectiles it will give the same performance and in lesser powder, which clearly cries the fact it will be economical, will have less recoil and will be less noisy than its counterpart. Putting into comparison the .308 and .30-06 is a different ball game from comparing to the .223. The fact still remains that both the 308 and the 30 – 06 are big rounds. Though the .308 is not as heavy as others, but considering the amount of ammo a regular hunter takes with himself, its not a concern. As stated, the weight does not matter much; the major difference would be in the length. The 30-06’s comes in a longer case and the main disadvantage of the 30-06 Springfield here would be the length as loading each round would become difficult due to its long build, also, this would make the entire arrangement heavier. Though the contrast between them may not be that much in this case, this does not mean it doesn’t exist, and such differences are the defining factors for the efficacy of ammunition. Calculating human efficiency, the .308 has proven to be a more effective ammo for its users. Manufactures of the .308 compatible rifles have also opted to produce a lighter version of the rifles automatically putting them at a vantage position against other rifles when going hunting. 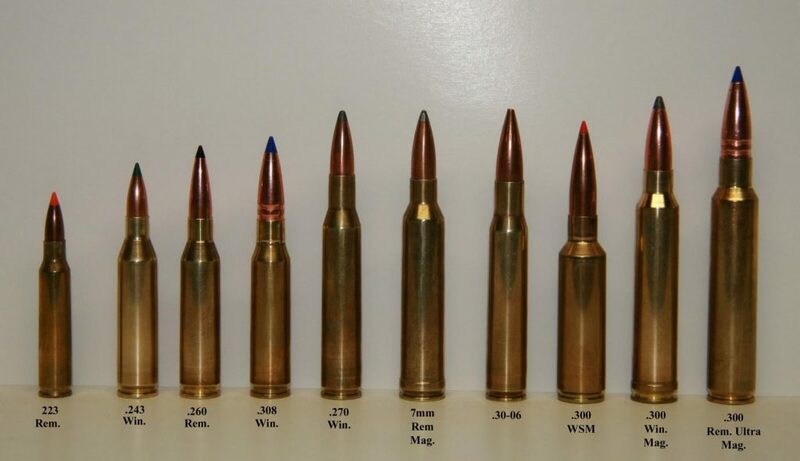 The .308 is much more available than other cartridges, all ammunition companies; foreign and domestic offer the cartridges. So wherever you are travelling, even to the depths of the African continent, know you are safe. If you probably ever run out of your 308 bullet, be rest assured you can get a dozen load of it from any manufacturer. In North America, the .308 Winchester is popular for its routine use for hunting deer, black bears, moose and caribou. It is also a popular hunting gun in Africa, South America, Europe and Latin America. The .308 was developed to effectively kill animals in the 100–300lb range. This includes really large animals, no wonder its massive gains with the military over the years. As well as being a NATO round, there’s a lot of it and it’s a bit cheaper than some of the other common hunting rounds. The 308 Winchester irrespective of its military wins is one of the greatest sporting cartridges. It remains an accurate and highly dependable hunting gamer. Its efficient reloader prowess and clean shot makes hunting very easy. You can easily make ballistically consistent loads for training recoil-shy new shooters. The .308 is something I would not want to live without as a hunter and I really do hope it stays around for a very long time because in my opinion, the Winchester is a priority sporting number and a top choice for survival ammunition. What do you prefer? Let me know in the comments below. Photo By Peter Gnanapragasam [CC BY-SA 3.0], from Wikimedia Commons.